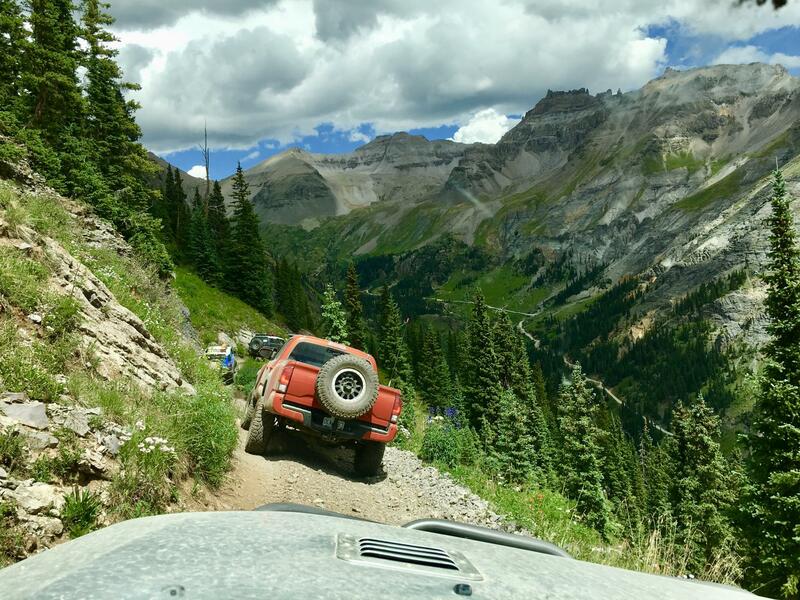 Toyota FJ Cruiser Forum > Trail > National Summit Discussion > 2019 FJCruiser Summit > Who is trail leading?? Who is trail leading at the Summit this year, and if so know what trails/time slot? Trying to get my ducks in a row for my hopeful 2nd Summit. I did Alpine loop and California/Corkscrew last year. Was scheduled for Imogene, but thought I had a mechanical issue that ended up being nothing and played it safe and not sorry. Regretted that for a good while. I am leaning towards Imogene, Southern and Northern Gulches runs. Black Bear is an option too, but I am still a Novice on the trails. Gonna pass on Poughkeepsie. Any perk to doing one of the vendor sponsored runs over the run of the mill trail runs? Re: Who is trail leading?? ZerosFJ, Duke Broadway and Firemedic831 like this. I think we are still a few hours aways from finding out . I lead a Poughkeepsie Run last year and everyone had a great time . I would like to be able to lead a group again this year on Poughkeepsie again. Just so you know there is a bypass on Poughkeepsie so you do not have to try the wall . We all were novice at some point so do not worry about that . these events are the best time to learn and maybe push your comfort level a little . What better time than with a bunch of FJs you can see what lines they take and if something was to happen you know we all have your back . Yeah. I learned a ton last year. Incredible experience. These are the times i will be leading . FJX2000, 101Firedog and saabturbo like this. 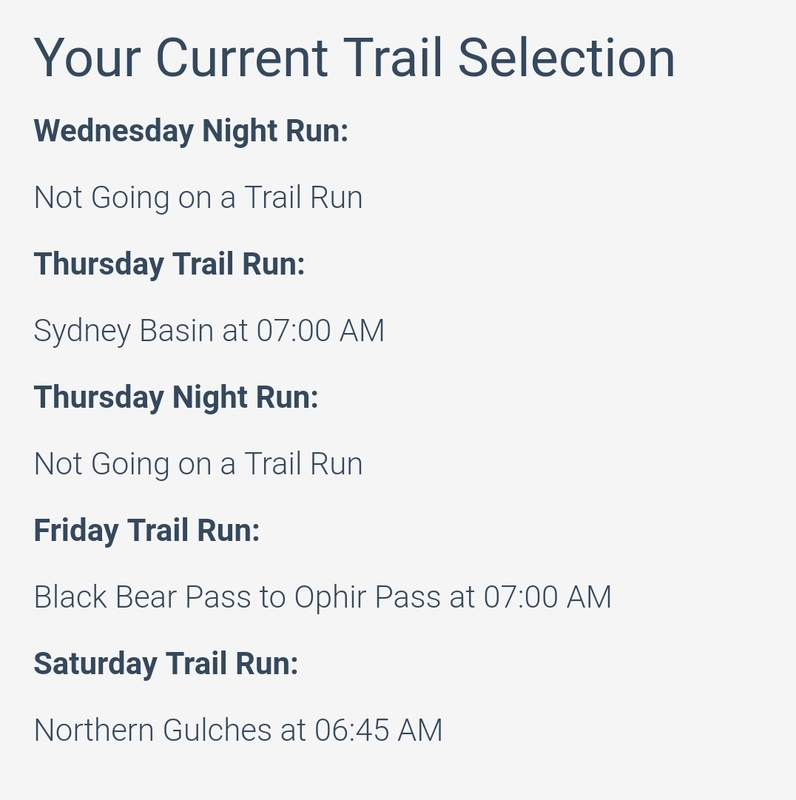 Trail leading the new Sydney Basin run Thursday and Northern Gulches on Saturday! See ya'll there! Didn't realize Sydney was an organized trail this year. It's one of the most beautiful and is my usual warmup run on Wednesday. May have to change one of my trails to do it with a group this year. Good! I signed up for that one. We got approval to do two runs each day with only seven vehicles per group. Its a tight loop that most run counterclockwise and will make for a short day. There are no large parking areas and the narrow (but not too narrow) shelf road at the end looks like its only wide enough for a side by side as you approach it. It is a stand alone run and we do NOT have approval for these groups to include the rest of Yankee Boy or the out and back Governor's Basin. The trail is really tight and technical in one area with potential for damage to non-lifted trucks and trucks with no sliders or skids, especially if it is slippery. I just checked to make sure there were no Tundras :eyeroll: on those runs for me to boot off. debFJVT and DubstepPear like this. DubstepPear and Firemedic831 like this.